The Wild Bunch is a masterpiece, plain and simple. Forty years after its original release, Sam Peckinpah’s violent, revisionist Western still has the power to thrill, shock, disturb, provoke thought, and entertain. All of the best films reward repeated viewings, and no matter how many times I re-watch The Wild Bunch (and it has to have been at least a dozen viewings), the movie never grows tiresome. The Wild Bunch is so multilayered that one sees something new in the characters, themes, dialogue or performances with each screening. Peckinpah once said of the film that it was “simply what happens when killers go to Mexico,” and on the surface, The Wild Bunch is a story about outlaws on the run. After a botched bank robbery turned massacre, Pike Bishop (William Holden) and the surviving members of his gang (Borgnine, Oates, Johnson, Sanchez, and O’Brien) hightail it across the Mexican border with bounty hunters on their tail. The pursuers are headed by Deke Thornton (Robert Ryan), a former member of Bishop’s gang, who has the unappealing choice between hunting his past companions and rotting in prison. While on the run, Pike’s band agrees to take a job stealing ammunition from a train for a corrupt Mexican General (Emilio Fernandez). It is unclear whether the greatest threat to Pike and his gang comes from their Mexican allies, the bounty hunters, or from fissures within their own group. Of course, The Wild Bunch is about a lot more than “what happens when killers go to Mexico.” Pike’s bunch isn’t just running from men with guns. They’re trying to escape so-called civilized society, modernization, advancing age, their past mistakes, and pangs of conscience. It’s a multifaceted film that is open to many interpretations; and it has been viewed as everything from a treatise against violence to a metaphor for America’s intervention in Vietnam. No matter how you want to look at it, The Wild Bunch is a damn good film, perhaps the best Western ever made. The use of violence, slow motion, and editing were revolutionary at the time, but none of that would matter if not for the fact that The Wild Bunch is a well-written story brilliantly told. The characters are captivating, and the dialogue is spare but perfect. Never has more meaning been conveyed through the lines “Let’s go,” and “Why not?” The actors are as good as the material, and the film is perfectly cast from the leads on down. And while there is great acting on display from everyone in the ensemble, the film really belongs to William Holden. He never played a more fascinating character than Pike Bishop, and he never gave a better performance in his career. 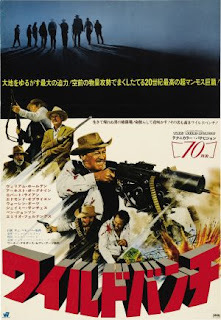 Of course, as good as it is, The Wild Bunch wouldn’t be included here if it didn’t have a pretty strong liquor content. 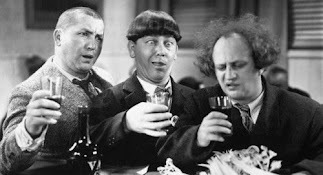 While booze is not the main focus of the film, it is present throughout. Whether on the run on horseback or camping in the desert, one of Pike’s company always manages to produce a whiskey bottle; and General Mapache, for whom they rob the train, is persistently plastered when not on the battlefield. From the opening, in which the bunch bloodily interrupts a temperance march to the wine-drenched debaucheries in Mapache’s camp, the film is full of memorable alcohol-related scenes. However, the most iconic is one in which Pike’s gang passes a whiskey bottle from man to man as a sign of camaraderie and respect. As you can probably tell, I love this movie. For devotees of Westerns, soused cinema, and motion pictures in general, The Wild Bunch is essential viewing. Potent Quotables--ANGEL: Don’t you see, this is their land, and no one is gonna drive them away. FREDDIE: I’ll drink to that sentiment… and to love. But most of all, I’ll drink to gold! Video Availability--On DVD as The Wild Bunch - The Original Director's Cut (Two-Disc Special Edition) or as part of Sam Peckinpah's Legendary Westerns Collection (Warner Brothers). An ultra-sharp The Wild Bunch [Blu-ray] disc is also available. I've had a rather busy month, and the past couple of weekends I haven't had a chance to watch a "booze movie," let alone review one. Don't worry. I'll get back in the groove before you know it, and there will be a lot more reviews on the way. In fact, this past weekend I picked up a number of interesting, alcohol-drenched titles from Yammering Magpie Cinema, while I attended the Hollywood Collector's Show. I've previously reviewed their releases of The Bottom of the Bottle (1956) and The Moonshine War (1970), and the Magpies mentioned that a few of their customers had found their Website through Booze Movies. That included a writer for the San Diego Reader, who wrote about the experience, giving our site a plug. Check out the article if you get a chance. One last note, the folks at Yammering Magpie Cinema have upgraded their release of The Moonshine War. It is now letterboxed and much better video quality. I've updated my review accordingly. The fourth entry in the popular Thin Man series, Shadow of the Thin Man, was the first not to be derived from a Dashiell Hammett story and not to be written by the screenwriters Frances Goodrich and Albert Hackett. Unfortunately the changes in scribblers can be felt in the finished product. Shadow of the Thin Man is neither as witty nor as alcohol-soaked as the series entries that preceded it. Nick and Nora Charles, Asta, and Nicky Jr. are back in San Francisco for Shadow of the Thin Man, presumably due to Nick Sr.’s fondness for the horse races. Unfortunately, plans for a pleasant day losing money at the track are spoiled when a jockey turns up dead. Lieutenant Abrams (Sam Levene, reprising the character he played in After the Thin Man) tries to persuade Nick to help him investigate the murder, but the ex-detective resists. Of course, after a few more bodies pile up, Nick is once again reluctantly pulled out of retirement. After a promising start, with Nora luring Nick back to their apartment by agitating a cocktail shaker (see “Potent Quotables” below), the drinking drops off dramatically. Apparently, the writers felt that it would be unseemly for the couple to overindulge in front of their young son. Nora only drinks one martini while on camera (although she wins 240 martinis from Nick in a wager on a turtle race). Nick manages to down a few more cocktails than Nora, but never enough to get really drunk. In fact, the only time Nick gets truly dizzy is in accompanying his son on a carousel. Worst of all, Nick Jr. manages to bully the old man into drinking a glass of milk. Horrors!!! While dryer than the previous Thin Man movies, Shadow manages to maintain much of fun associated with the series. William Powell and Myrna Loy still have great chemistry, and while their dialogue isn’t quite as sharp as in the previous films, they make the most of every line and physical bit of business. The mystery is every bit as thorny as in the earlier entries; and as before, they are supported by a great cast of character actors, including the aforementioned Sam Levene, who is a sputtering delight as the befuddled cop; a pre-stardom Donna Reed; Stella Adler as a gangster’s moll; and even Ed Wood regular Tor Johnson (with hair for a change) as a mop-topped wrestler. Eagle-eyed viewers may even spot Ava Gardner amongst the extras when Nick and Nora arrive at the track. Potent Quotables--MAID: Ma'am, did he hear that or did he smell it? NORA: That's Mr. Charles, isn't it? NORA: This is a cocktail, isn't it? 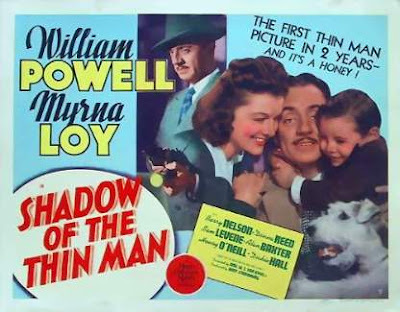 Video Availability--Shadow of the Thin Man is available as a solo DVD or as part of The Complete Thin Man Collection (The Thin Man / After the Thin Man / Another Thin Man / Shadow of the Thin Man / The Thin Man Goes Home / Song of the Thin Man). Similarly Sauced Cinema--Nick and Nora next appeared in The Thin Man Goes Home (1944). Wasn't Arthur 2: On the Rocks (1988) bad enough? 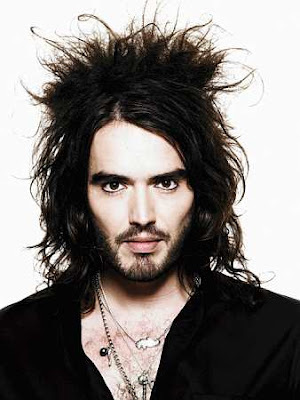 Now, Warner Brothers plans to remake the cocktail-charged 1981 Dudley Moore comedy, Arthur, and have hired Russell Brand (the womanizing musician of Forgetting Sarah Marshall ) to star. I found Brand's work in Sarah Marshall quite good, but let's face it, he's no Dudley Moore. By the time Moore was hired to lead Arthur, his comic chops were tops from years of stage, television, and film experience as part of a comedy team with the even more brilliant Peter Cook. His performance in Arthur was a career-topper, and I can't see how Brand can hope to match it. Moore also had excellent support from actors Liza Minnelli and Sir John Gielgud and especially from writer/director Steve Gordon. 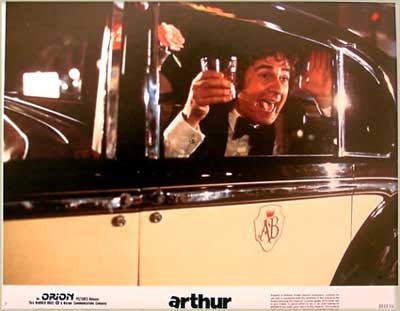 The screenplay of Arthur was an absolute gem that captured the fizziness of the screwball comedies of the 1930's, while telling a completely original story. The worst news about the proposed remake is that Peter Baynham, a co-writer on Borat, has been hired to write the film. Blurrgh! The 1981 original is rightfully considered a modern comedy classic, and it was included in the AFI's list of the 100 funniest American films (at #53). Let's hope the powers that be at Warner Brothers come to their senses and leave Arthur alone.